Manufacturer of a wide range of products which include sand mix muller, sand muller mixer and industrial sand muller mixer. We, Pledge International offering different size of Sand Mix Muller. The offered product is manufactured using high-quality raw material and latest technology in observance with the set international norms. The green sand mixed in this mixer improves the finish and strength. The attrition is exerted by the pressure of the cast iron rollers. Our Sand Mix Muller are specially designed, sturdy constructions and easy maintenance. Furthermore, Sand Mix Muller is known for its effective performance. We are engaged in manufacturing and exporting exemplary Sand Muller Mixer. Resistant to corrosion, it is widely acknowledged among the customers we have. Known for offering a hassle-free performance, this offered mill is highly acclaimed in the market. 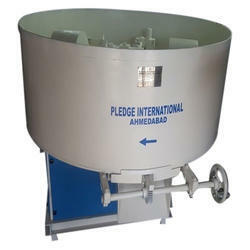 Offered mixers are widely appreciated by patrons based across the globe as these are sturdy in construction, ensure reliable performance, longer service life, and precise design. To ensure that our offered mixers possess these features, we make use of the supreme quality raw material in the manufacturing process. 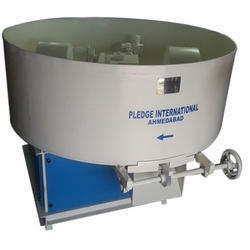 We are offering a wide range of exemplary Industrial Sand Muller Mixer. Owing to the sturdy construction, it is highly durable in its characteristics. T his offered range of horizontal mills offered by us is known for it s smooth operation. To ensure that our offered mixers possess these features , we make use of sthe upreme quality raw material in the manu facturing process.